I grew up on steamed asparagus and it was good, but (forgive me, mom) it was always lacking in the flavor department. Steaming it also made it taste a little watered down and soggy. But since that was how I always had it, I would make it that way, too. With this last asparagus purchase though, I tried something new: roasting in the oven. My whole outlook on asparagus has changed because of this cooking method. It came out tender and crisp and had a depth of flavor that went through each spear in a perfect way. There was a subtle sweetness from the roasting that brought out the vegetable's natural sugars and the garlic brought it to a whole new level. It's a great, healthy addition to any meat, poultry or fish and it is definitely worth trying. 2. Rinse and trim asparagus by snapping off the bottom stems. 4. 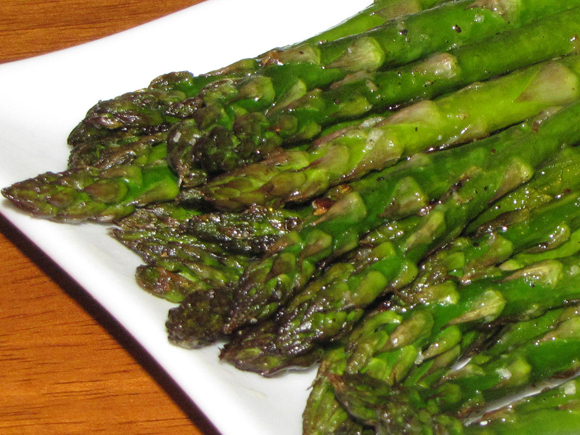 Mix oil and garlic together and toss with asparagus in a large bowl. 5. Spray a foil-lined baking sheet with non-stick spray and place asparagus in a single layer. 7. 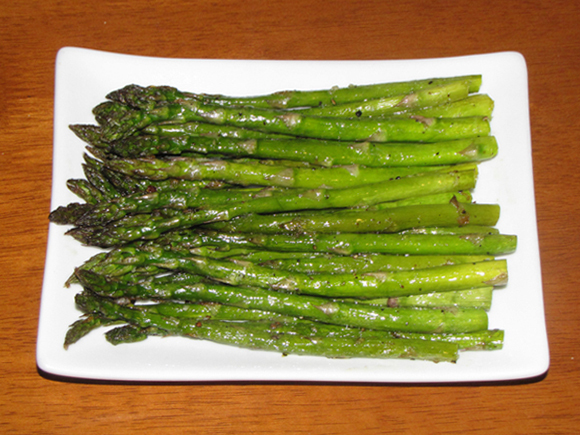 Roast in oven for 10-12 minutes or until asparagus is tender and starting to brown slightly. Flip pan around halfway through cooking.